The Diary of a Wimpy Kid series sit firmly between the safe laughs of a Disney Channel program and the nostalgic quirkiness of The Adventures of Pete & Pete. For the uninitiated, the films are based on a best-selling series of books that follow scrawny youngster Greg Heffley as he faces the perils of adolescence. They’re charming, easily accessible films that are smartly written as to appeal to both their target audience and the accompanying parents. The whole gang of archetypes is back for this third outing: Greg’s caring parents (the consistently enjoyable Steve Zahn and Rachael Harris), clueless brother, loyal best friend, bratty rival. It opens on the eve of the last day of 7th grade and then follows Greg as he survives a summer without video games under the watchful eye of his father who struggles to shatter a parental barrier that is forming between the two of them. Set pieces include a public swimming pool, a Civil War reenactment, a Jersey Shore-like getaway, a wilderness retreat…all familiar comforts for like-minded suburbanites. It’s an enjoyably light affair and a worthwhile 90 minute escape from the summer heat. 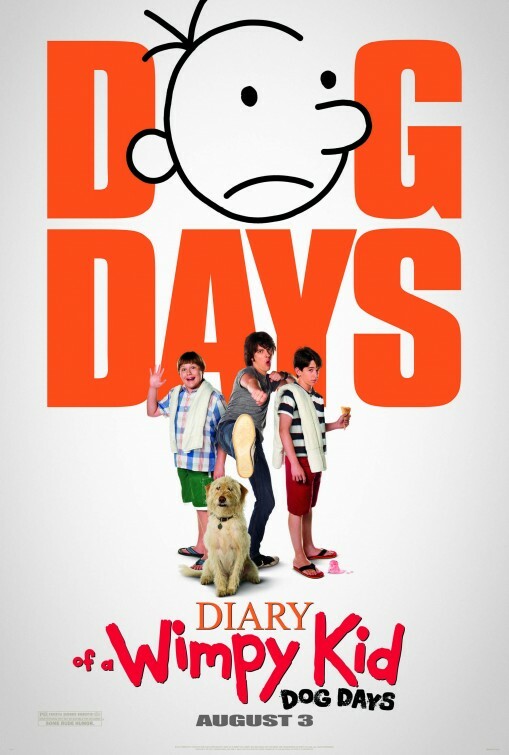 Diary of a Wimpy Kid: Dog Days opens today in Philly-area theaters.